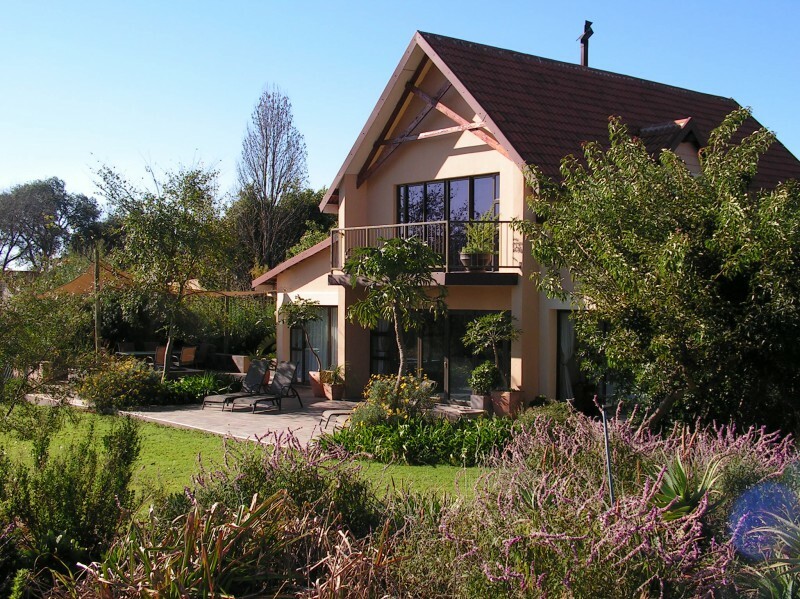 The 6-sleeper unit, Sunbird, has 3 fully ensuite bedrooms, each with its own DSTV and incredible mountain views. 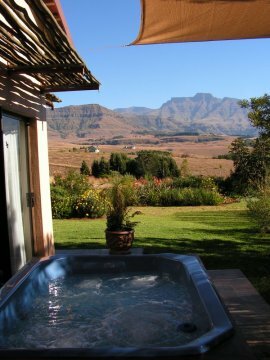 There is a 6-seater Jacuzzi on the large patio with built-in braai. A secluded courtyard provides a lovely private area. 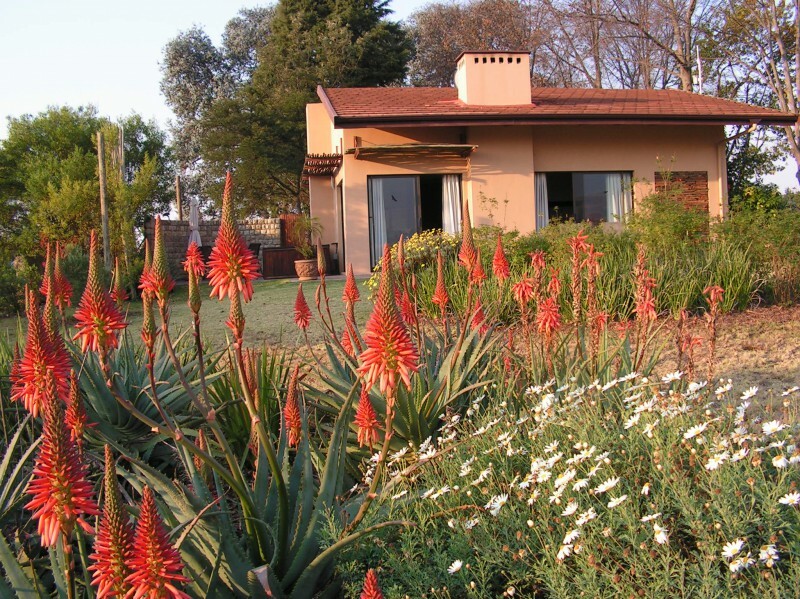 For that special romantic experience, your honeymoon, anniversary or that special occasion, we also have 2 x 2-sleeper self-catering cottages, Hoopoe and Kingfisher, each with its own jacuzzi on the braai patio, outdoor shower and flat screen DSTV. 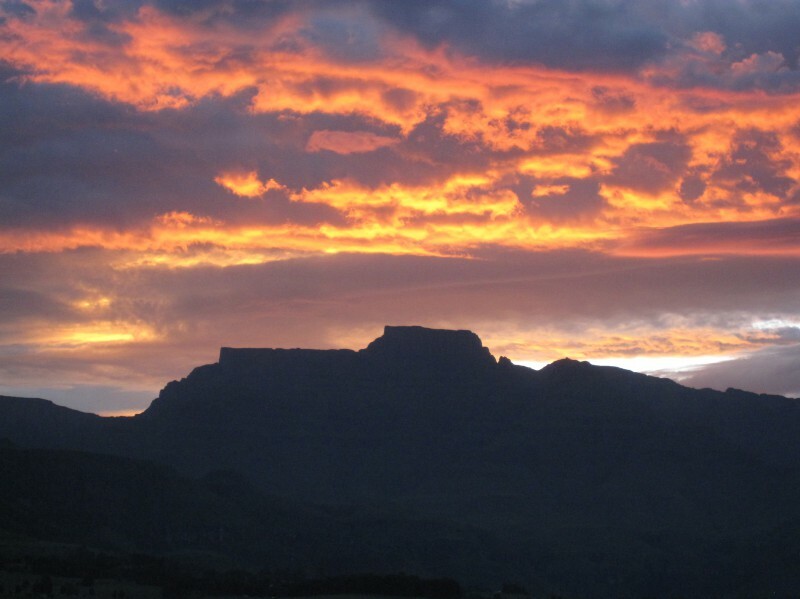 Sunbird Cottage is the ideal venue for a group of up to six people to enjoy seclusion within the Central Drakensberg. Whether you are on holiday, business or that special family celebration this is the venue for you. 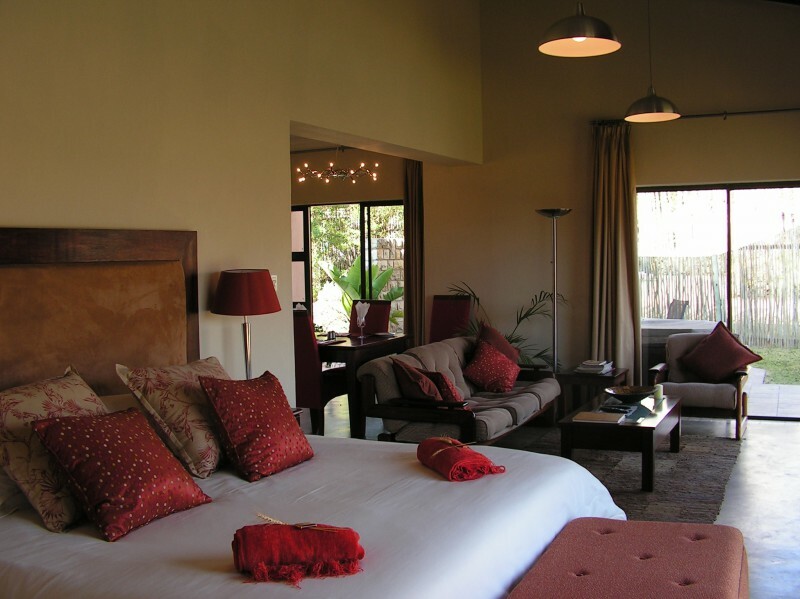 Each bedroom is fully en suite and has its own DSTV and beautiful views of the mountains. Features 3 bedrooms (2 with queen beds, 1 with 2 single beds) each with an en suite bath, shower, toilet and two vanities. 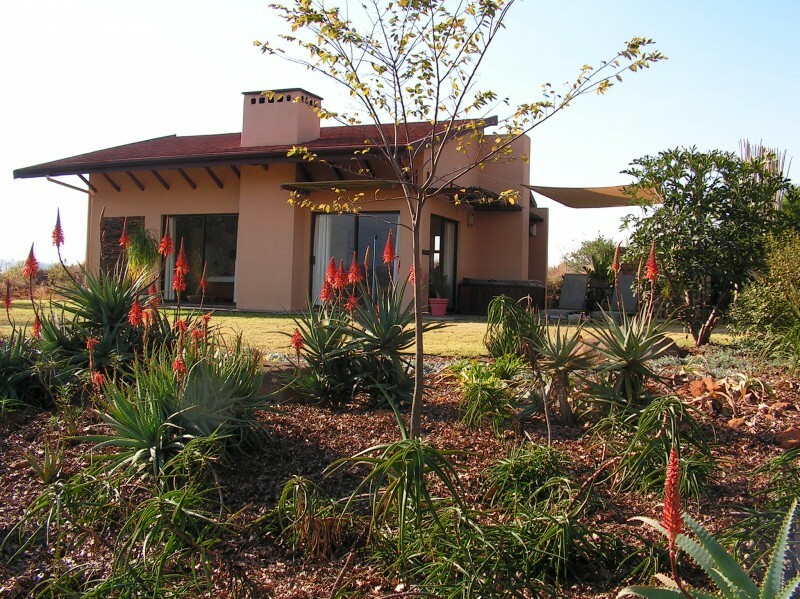 All 3 bedrooms have DSTV and open out onto the magnificent mountain view. The spacious lounge with a large flat screen TV (DSTV), DVD and patio with charcoal braai area and jacuzzi, share some fantastic views. For those chilly winter evenings there is a wood burning fireplace and under floor heating throughout. Linen, towels and outdoor towels are provided: mid-week servicing for stays of a week or more. Fully equipped kitchen, including dishwasher. Secluded garden courtyard off the kitchen with water feature is a lovely cool, private place to spend some 'down' time. Swimming pool and stocked trout dam on site. For that special occasion, honeymoon or escape from the stress of everyday life in the city, Hoopoe & Kingfisher are the ideal romantic getaway for a couple. 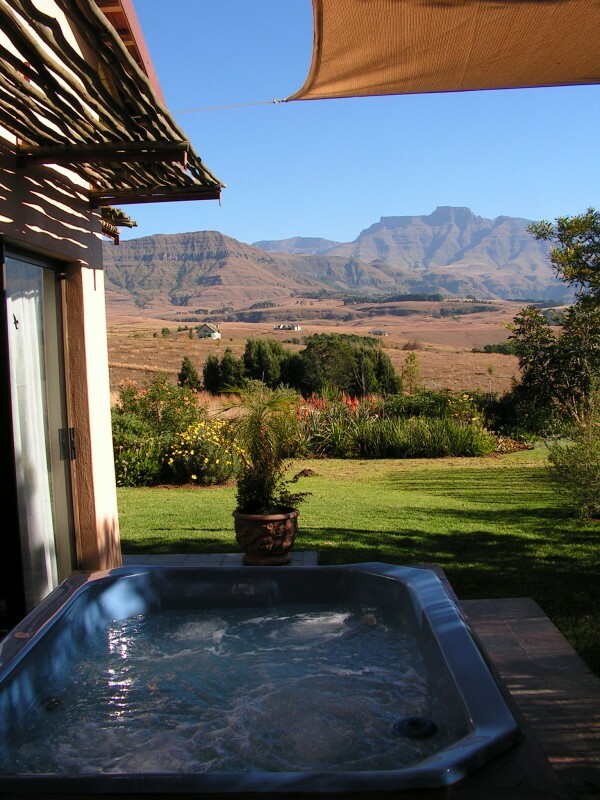 Whether you relax in your own jacuzzi on the private patio with magnificent views of Cathkin and Champagne Peaks or participate in the many activities in the Central Drakensberg, the cottages offer a secluded haven for you to relax and unwind! 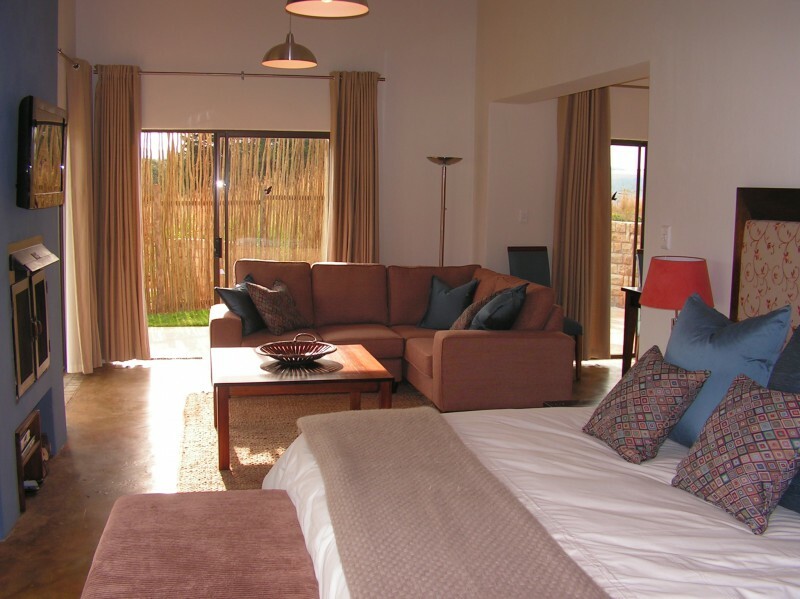 An open plan "loft style" area with king size bed, lounge, dining and fully equipped kitchen areas. All linen, towels, outdoor towels and cleaning materials are provided. A mid week service and linen change is provided.